In 2017, SILMO Paris, the OPTICAL FAIR, will celebrate its fiftieth anniversary. A "senior" age that is testimony to the vitality and maturity of this great international event for professionals in the optics and eyewear industry. Year after year, the fair has been able to cope with socio-economic crises and the challenges of a dynamic sector. SILMO has been heavily involved in this dynamic, with evolutions or even revolutions, aiming to provide professionals with the best platform for expression and business. 1967: creation of SILMO, the first optical fair bringing together 58 exhibitors over 1,500 m2. 1971: the show grows and now plays host to 228 exhibitors over 6,000 m2; the following year, it "goes up" to Paris which will take it in turns to host the event with Oyonnax. 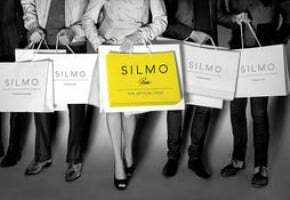 1981: permanent move to Porte de Versailles in Paris, SILMO has established itself as the profession's first major event in autumn, on dates that are now fixed. 1994: the GOLDEN SILMO are launched, they represent the reference trophies that recognise the excellence, creativity and innovation of manufacturers and brands from around the world. 1996: SILMO identifies a number of start-ups, new creative brands that bring a breath of fresh air to the optics and eyewear industry.The VILLAGE is created and becomes a separate sector in its own right in order to better detect and identify them. 1997: SILMO is representative of eyewear, glass and technology players, it is also distinguished by its commitment to health, it opens a space devoted to LOW VISION. 2009: SILMO changes its calendar and moves from October to late September to fit in better with the realities of the global market; the following year, it moves to Paris Nord Villepinte, an exhibition centre that is more suitable for the size of the fair (over 35,000 m2), the requirements of exhibitors and the comfort of visitors. 2010: SILMO opens the first scientific conference, the SILMO ACADEMY which, each year as part of the fair, brings together specialists and delivers scientific insights and advances on vision. 2014: SILMO extends its influence by developing its brand internationally, SILMO ISTANBUL is the first example of this opening with a fair dedicated to the Southern European and Middle Eastern markets. 2015: often copied, never equalled, SILMO protects its leadership and gives itself a a makeover with a new advertising campaign that embodies universal creativity, Parisian elegance and international power: see you at the largest optics and eyewear store in the world!